It became known in February 1994 that the operator was assessing prospects for increasing daily production from the field by 30-50 per cent. [REMOVE]Fotnote: Dagens Næringsliv, 14 February 1994, “Ekstra mrd. til Draugen-eierne”. Two new wells and some minor modifications to the platform could boost output by 40 000 barrels per day (b/d). That would greatly improve profitability but was not without problems. While Shell said Draugen was financially robust, a number of questions had been raised about the field’s profitability after oil prices had fallen steadily from USD 20 per barrel in the summer of 1992 to below USD 15 in the autumn of 1993. The company claimed that Draugen would continue to do well at this price level, and that it could even survive prices close to USD 10 per barrel. Raising production above 100 000 b/d would let the government invoke the “sliding scale”, which allowed it to increase the state’s holding in the field by about 15 per cent. Higher output would thereby be very good for the government, but unprofitable for Draugen partners Shell, Statoil and BP – who threatened to veto an increase if the sliding scale was applied. [REMOVE]Fotnote: Bergens Tidende, 25 August 1994, “Dragkamp om Draugen”. 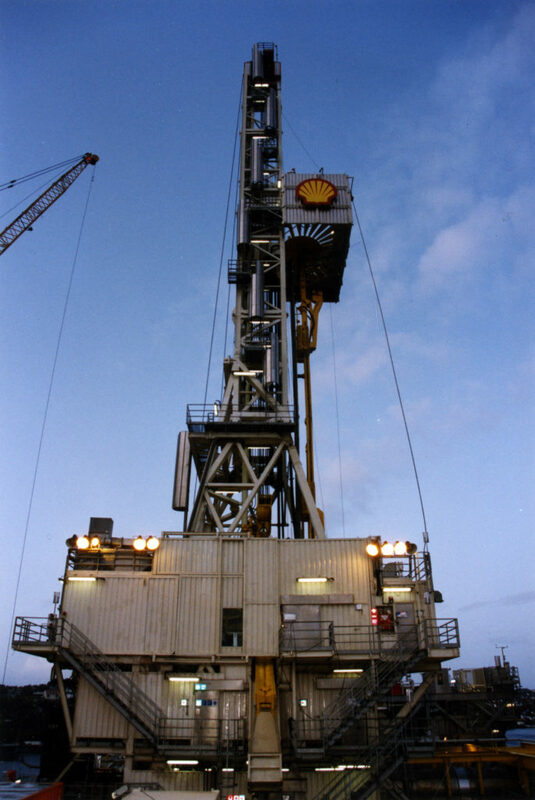 Although the position remained unclarified, Shell drilled new wells during 1994. A compromise was negotiated the following spring which resulted in a Storting decision on 12 June 1995. Claims by the licensees that full implementation of the sliding scale would make a production rise unprofitable were only partly accepted. The upshot was that the government increased Statoil’s interest in the licence by eight per cent while reducing the Shell and BP holdings by 4.8 and 3.2 per cent respectively. While the change in licence holdings took effect on 1 July, the platform jumped the gun by boosting output to 140 000 b/d from 28 June. 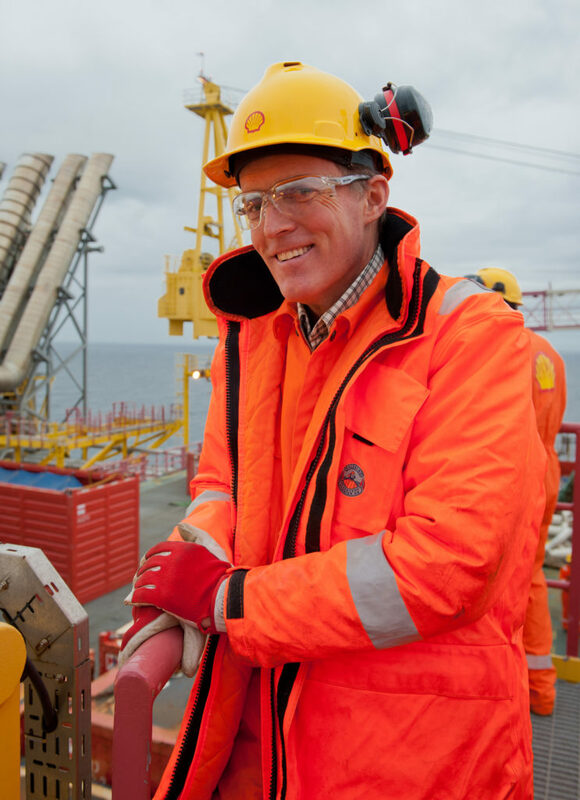 Shell was decidedly unhappy about the new division of interests, but operations head Knut Engebretsen confined his comments to saying: “we can live with this”. [REMOVE]Fotnote: Bergens Tidende, 29 June 1995, “Kraftig økning på Draugen”.See also the article about the licensees on Draugen. The first phase of upgrading the Draugen production facilities was completed over a 10-day period in late June 1995. This work was carried out with the platform shut down, and no problems were encountered during the subsequent restart. Maximum oil output was thereby increased to 155 000 barrels per day (b/d), which corresponded to an annual average of 140 000 b/d. Work included correcting inefficient design solutions, replacing control valves, installing larger piping and upgrading the emergency blowdown system on the second-stage separator. Phase two of the project was carried out the following year to secure a 10 per cent rise in maximum production without affecting operating stability. [REMOVE]Fotnote: EPO info, no 4 1995, “Oppgraderingen på Draugen: Suksess i første fase”. 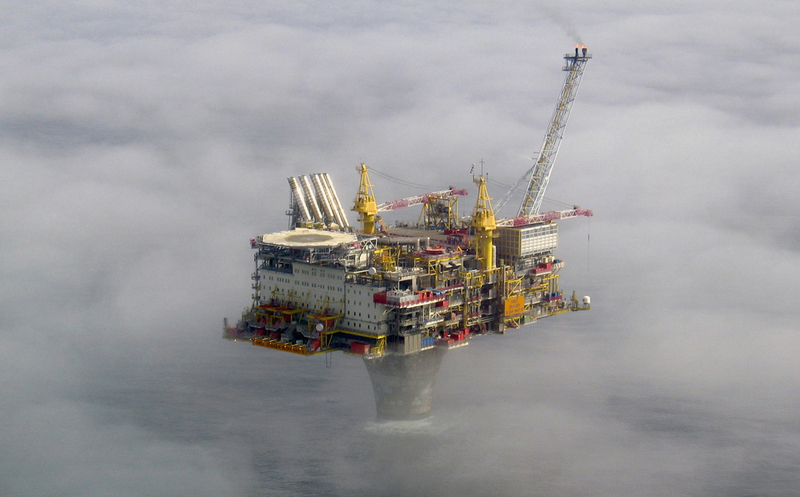 The decision to remove the drilling rig on the Draugen platform was taken in January 1997. Although only five wells had been drilled since production started, the facility was not required. Maintenance work would also be reduced. Work began as early as 10 April, and was completed in exactly a month thanks to the deployment of efficient access techniques. [REMOVE]Fotnote: Shell UP no 5, June 1997, ”Fjerning av boremodulen på Draugen”. See the separate article on the fate of the rig. 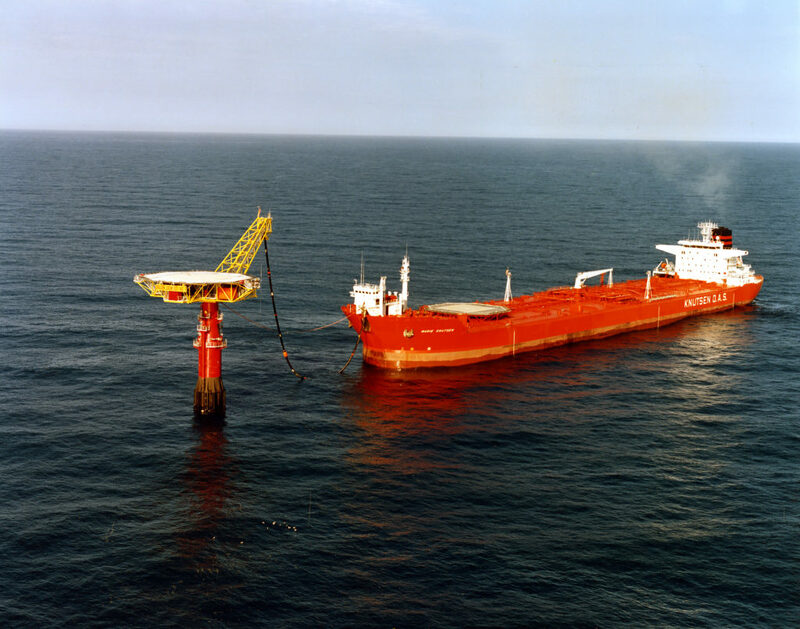 The Draugen gas transport project, which included the installation of new equipment and a pipeline, became operational on 10 November 2002. Intended to exploit gas from the reservoir, this development had been under way since the year before. The platform would also be able to receive gas and oil from the small Garn West satellite. Associated gas was to be transported to Kårstø north of Stavanger through a dedicated pipeline tied into the Åsgard Transport system through a Y connection. With an internal diameter of 16 inches, the pipeline from the Draugen platform to the tie-in point is about 75 kilometres long. 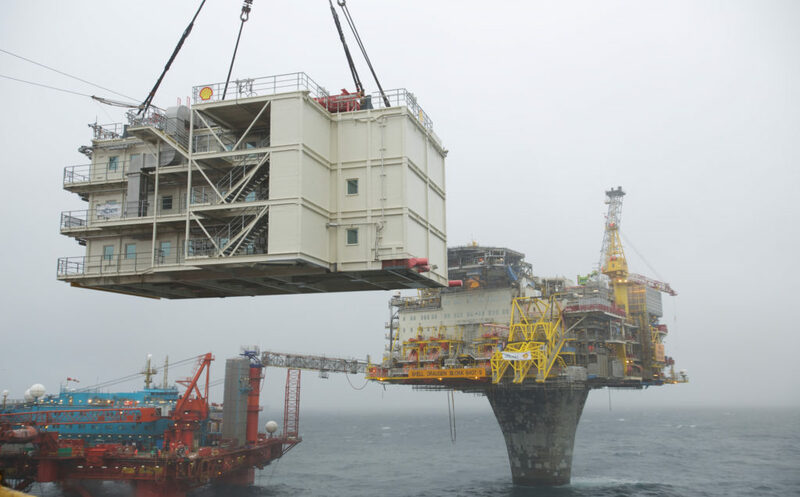 A dedicated floating loading platform (FLP) was installed on Draugen so that its oil could be transferred to shuttle tankers for transport to land. 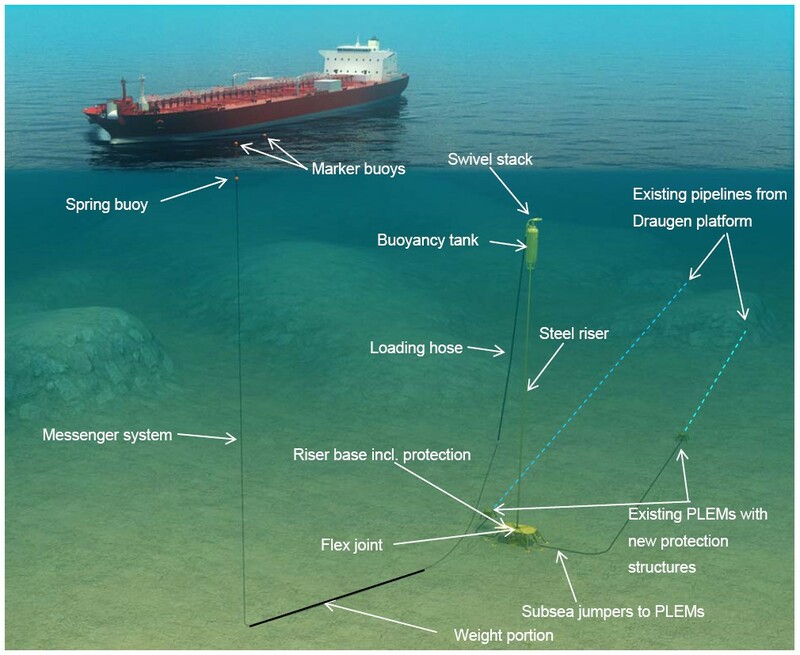 This buoy installation stood about three kilometres from the actual platform, and was tied back to it with two 16-inch flowlines. A mere six years after the field came on stream, Shell wanted to replace the buoy with a loading system which could guarantee a longer operating life. That was necessary because it had been established that Draugen would continue to produce beyond the 20 years specified in the original plan for development and operation (PDO). 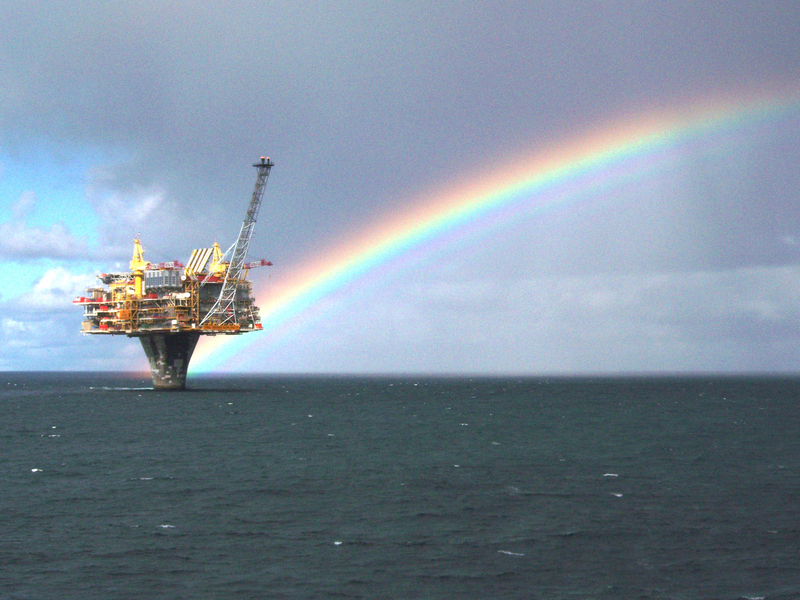 Weather conditions in the Norwegian Sea restricted loading, and Shell wanted to extend the operational window. Technology for this had not been available in 1998. Norway’s Framo Engineering developed a suitable concept in 2008. The replacement project was initiated, but took four years to complete. Read more in the separate article on the Draugen loading systems. In the early autumn of 2012, Shell – with a number of other oil companies, and Statoil in particular – appeared to have found a way to develop several gas discoveries in the Draugen area. This involved connecting all of them to a new transport system initially called the Norwegian Sea gas infrastructure, and later renamed Polarled. [REMOVE]Fotnote: Sysla Offshore, 13 January 2012, ”Shell går videre med Linnorm”. At that time, the Linnorm and Aasta Hansteen discoveries were regarded as the cornerstones for achieving commercial development of all the gas fields in this part of the Norwegian Sea. Shell therefore planned to extend Draugen’s producing life until 2036. [REMOVE]Fotnote: Midt-Norsk Olje & Gass, no 2, 2012, ”Draugen til 2036”. The original PDO had assumed that the field would stay on stream for 20 years. Its official producing life accordingly expired in 2013. 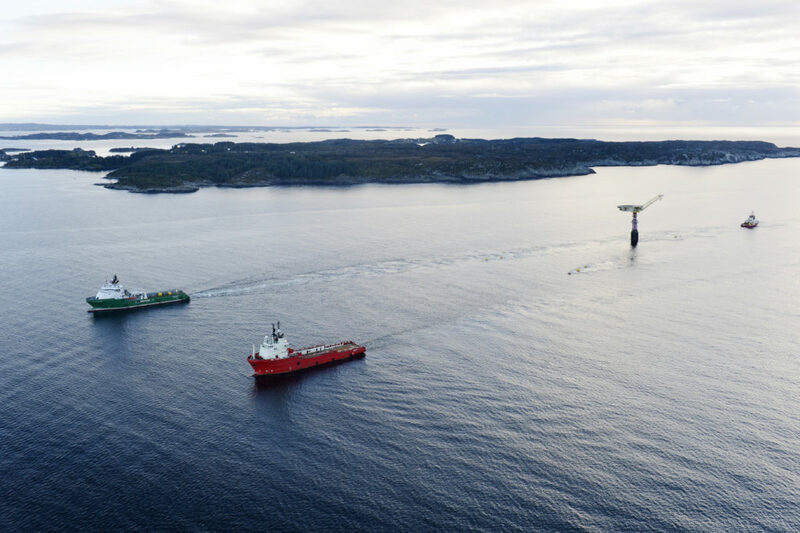 Shell intended to apply to the Petroleum Safety Authority Norway (PSA) and the Norwegian Petroleum Directorate (NPD) to use Draugen beyond its initial cessation date. In order to operate the platform safely and prudently after 2013, it was important to be able to demonstrate that good care was taken of system integrity throughout. Both technical and organisational analyses were conducted so that Shell could demonstrate the acceptability of keeping Draugen on stream. They hoped for a producing life of 17 years, we have now passed 18 and are not going to give up any time soon. We may perhaps be only halfway through the field’s producing life. Regardless of how you measure it, Draugen has always delivered and I’m proud to have been part of that. I regard the fact that the Linnorm licensees chose Draugen as its host platform as proof that we’re on the ball, and competitive. [REMOVE]Fotnote: Midt-Norsk Olje & Gass, no 2, 2012, ”Draugen til 2036”. Read more about Linnorm in a separate article. Ervik’s comments were followed up by Norske Shell project director Bernt Granås. He noted that the Draugen and Troll A projects had been used in the 1980s and 1990s to build up the company’s project capability. The new plans for extending Draugen would play a very important part in rebuilding this expertise. An investment decision on Linnorm could hopefully extend the platform’s producing life by 25 years. [REMOVE]Fotnote: Midt-Norsk Olje & Gass, no 2, 2012, ”Draugen til 2036”. 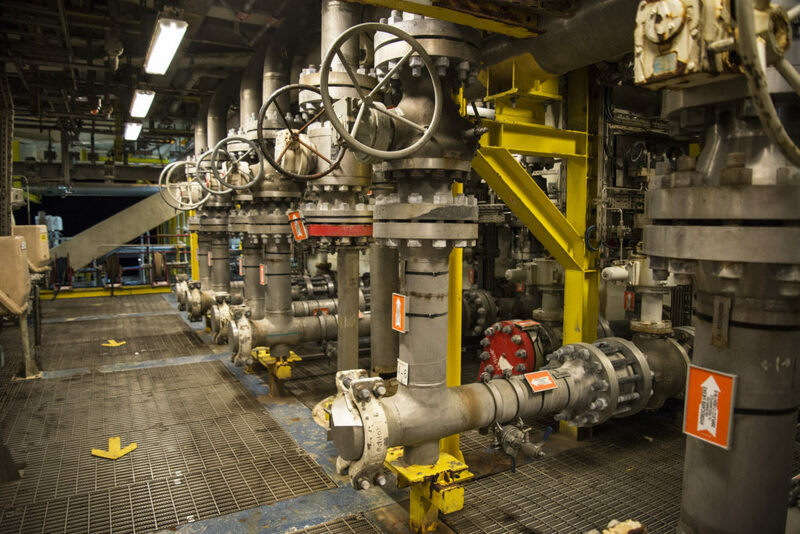 Shell’s ambitious plans for keeping the field on stream led to the award of a 10-year frame contract to Aibel, which would handle design and execution of conversion jobs large and small. 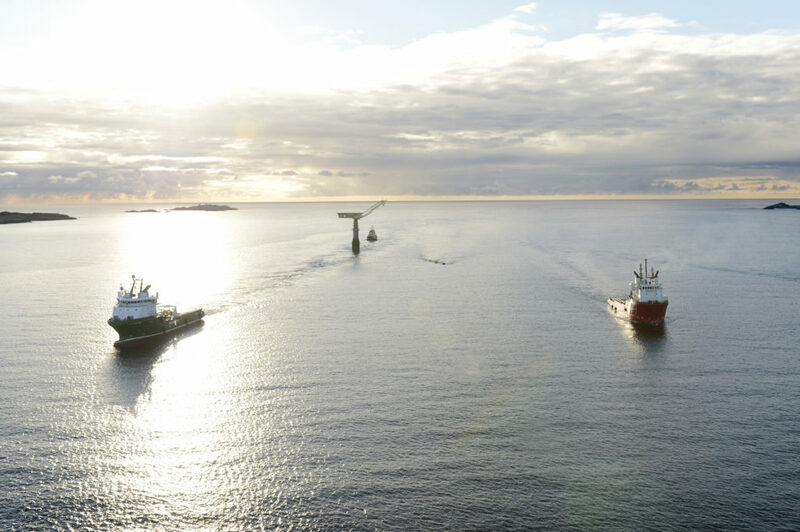 The assignment was one of the most significant in the history of this Norwegian offshore service company, and offered it opportunities for growth in Kristiansund. [REMOVE]Fotnote: Aibel website, 13 November 2013. Injection of produced water back into the reservoir. Installation of a new loading system. Removal of the former loading buoy. 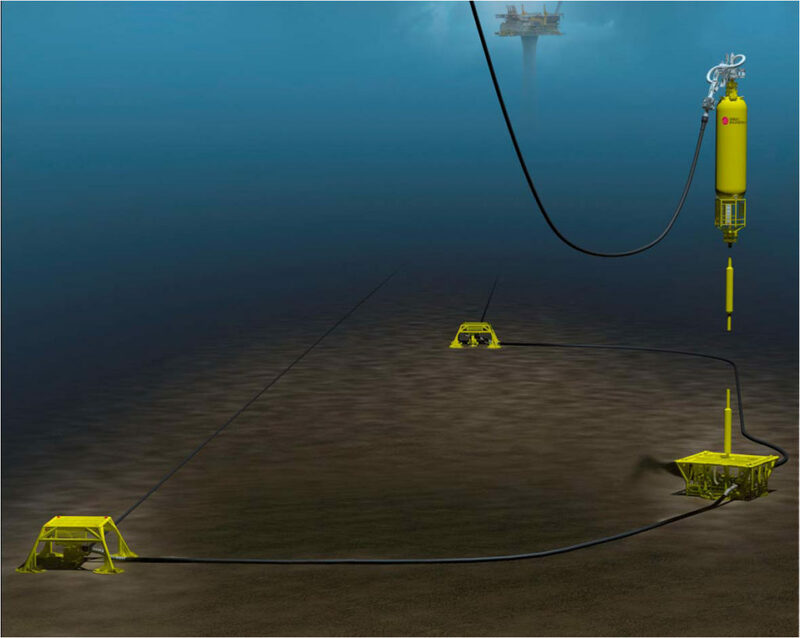 Drilling of four new subsea production wells. Installation of a subsea booster pump to provide an extra push to the wellstream and thereby help to increase production. Installation and tie-in of new pipelines and umbilicals. 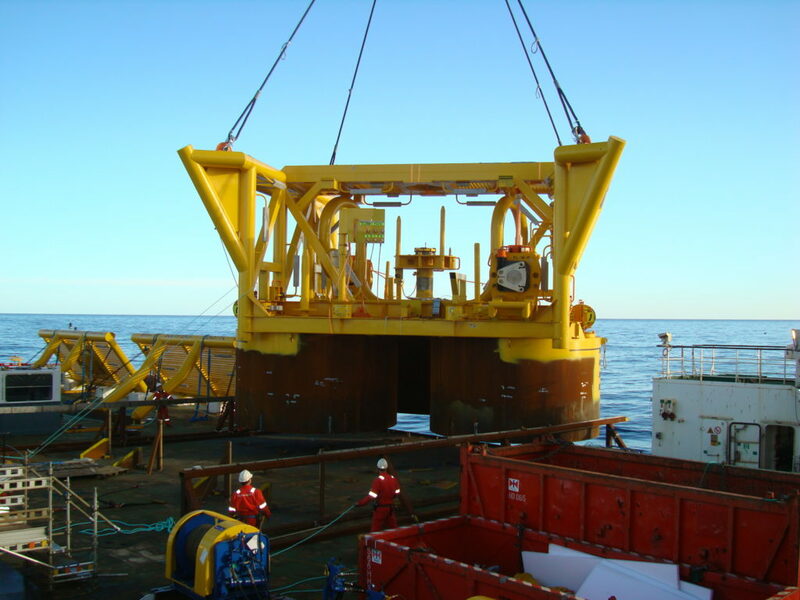 Modification and upgrading of equipment, both on the platform and subsea – a number of projects fall into this category. Installation of an additional quarters module with 45 extra berths. Upgrading to handle gas from Linnorm (conditional on a final investment decision). Aibel’s first project under this contract was the construction of a new lifeboat station and quarters module – the latter in cooperation with a Dutch fabricator. But expectations for Linnorm proved over-optimistic in late 2012 and early 2013. Work was postponed indefinitely on 20 November and, after an appraisal well completed on 5 September proved dry, the development was shelved. 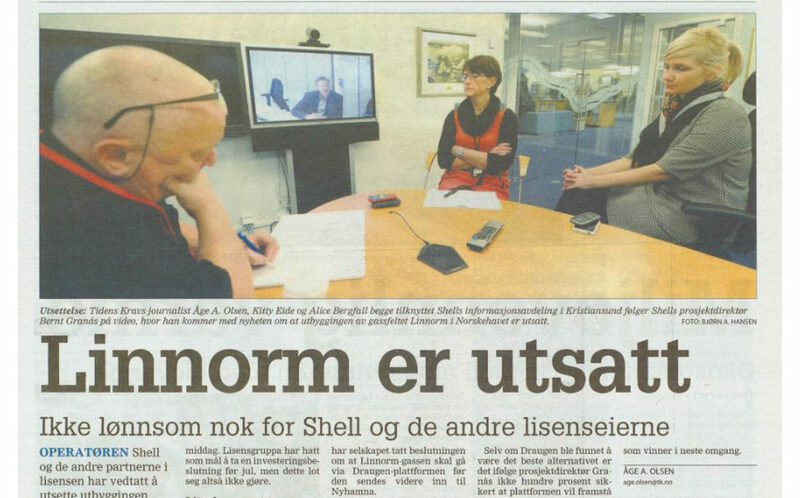 [REMOVE]Fotnote: Petro.no, 20 September 2013, “Linnorm-beslutning i høst”. However, the two fabrication projects went ahead. Both structures were lifted into place on 10 November by Heerema’s Thialf heavy-lift ship without damage or accidents of any kind. The Draugen platform’s strategic location means it has been the candidate for tie-ins of smaller oil and gas fields in the same area. It became known in November 2014 that the facility was being regarded as a possible host for production from the Pil og Bue and Snilehorn discoveries, operated by VNG and Statoil respectively. [REMOVE]Fotnote: Sysla, 20 November 2014, “Draugen trenger nye funn for å overleve”. 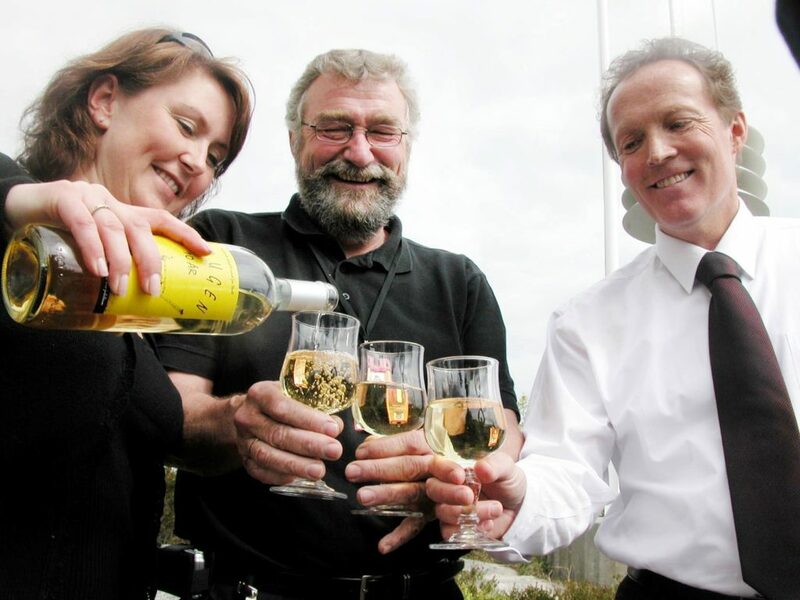 The application to lengthen the field’s producing life was therefore maintained, and the licensees were informed in May 2015 that the production licence had been extended to 9 March 2024. [REMOVE]Fotnote: Offshore Energy Today, 21 May 2015, “Life extension for Shell’s Draugen (Norway)”. 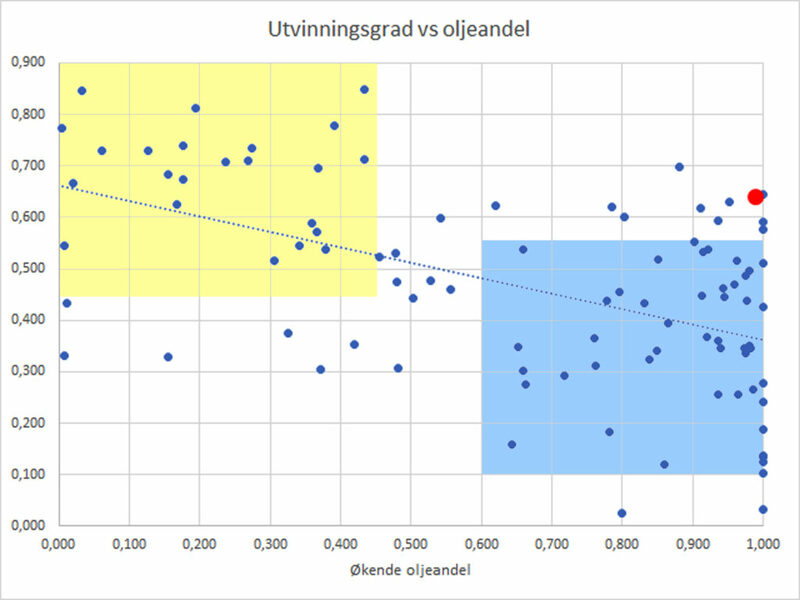 But it became clear during 2016 that both Pil og Bue and Snilehorn would be tied back to “rival” Njord. That put a temporary stop to the many plans for the Draugen platform.